Several insects have gotten a lot of national attention lately due to problems with their survival in the U.S. Although honey bees (Apis mellifera) are not native to the U.S., colony collapse disorder has the potential to affect the production of our food crops because honey bees are so heavily used in commercial food crop pollination. The monarch butterfly (Danaus plexippus) has suffered lately due to habitat loss in Mexico as well as the loss of host plants due to farming practices in the Midwest. Add in the recent news about neonicotinoid pesticide use affecting bees in general and you have a lot of current human interest in how insects, especially pollinators, are affected by our actions. This book, Pollinators of Native Plants by Heather Holm, could not have come at a better time. The book provides much needed information on understanding the key concepts of pollination and a thorough overview of native insect pollinators. One reason that I really like this book is that it addresses all types of native insect pollinators: bees, butterflies, moths, wasps, flies and beetles. Truly supporting pollination issues requires that we understand not just one or two pollinators. Yes, the issues around honey bees and monarch butterflies are important, but I think they are like canaries in a coal mine, alerting us to the much bigger issue of the effect of our actions on their ability to survive. Chapter One provides an excellent overview of the science of pollination. 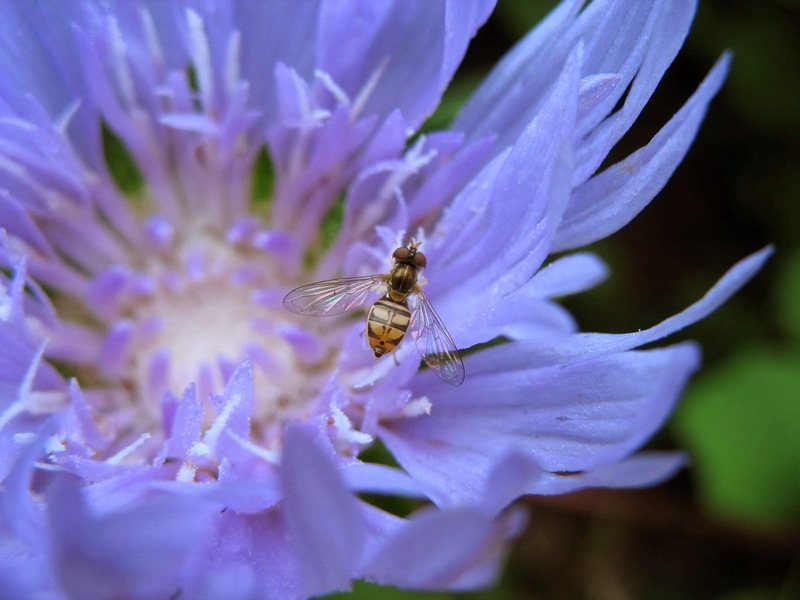 The inquisitive mind will love the details presented here about how different flowers attract pollinators, how they reward them and how the pollinators help plants maintain genetic diversity. Understanding the relationships between the plant and the pollinator improves our ability to make good choices for the world around us. Excellent pictures and explanations start here and continue throughout the book. Chapter Two focuses on the details of the many different types of pollinators. Bees, wasps, beetles, butterflies, moths and flies are all covered here. Understanding how and where they live and how they go about pollination are important to the concerned gardener. Bees are covered in the most detail and the author includes details about how to support their nesting needs. Bees don’t travel very far to forage so if you’re offering nectar and pollen, you need to offer nesting habitat too. I learned about syrphid flies this past year and their importance as pollinators. 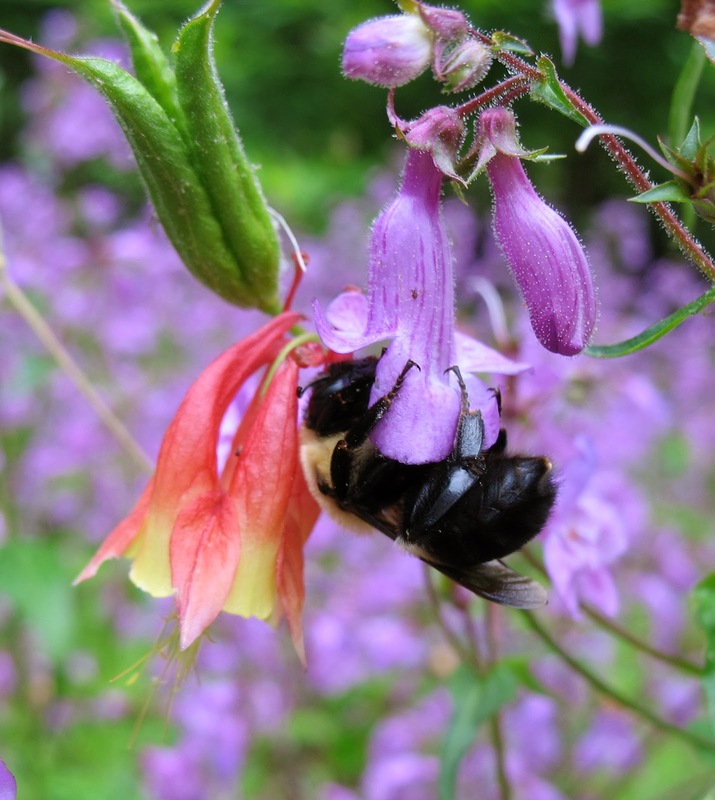 Chapter Three addresses pollinator conservation issues. I love the section on Agricultural Landscapes; it covers how planting native plants around the crops can attract native pollinators for free pollination services. 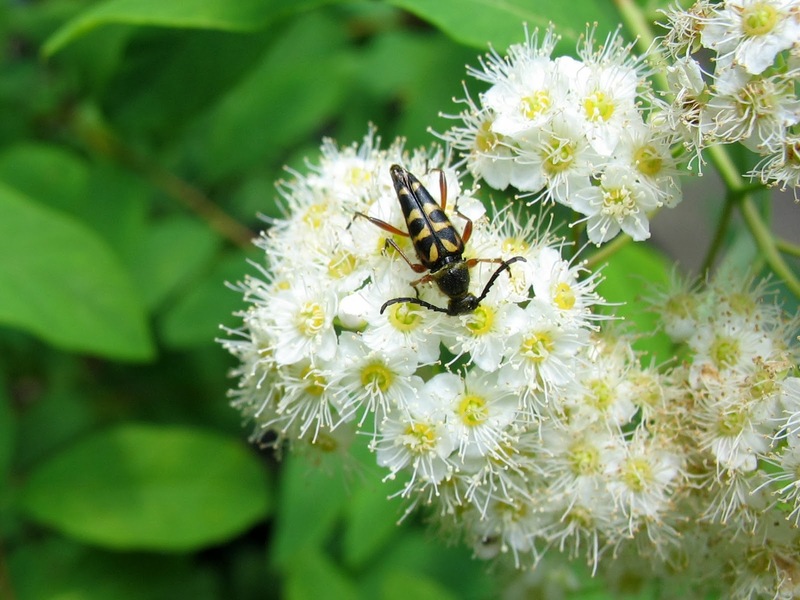 The farmer might also benefit from crop pest management by attracting beneficial insects. 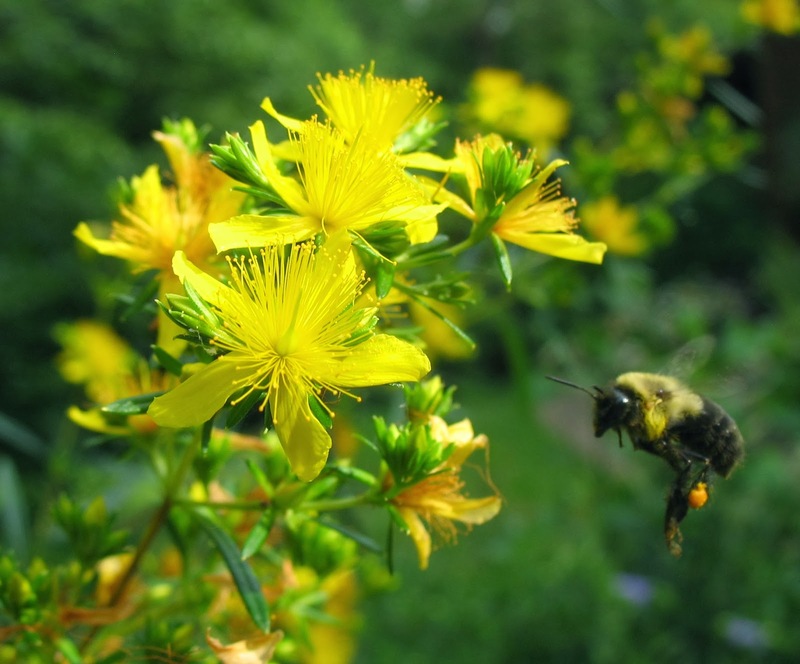 An overview of threats to pollinators is also included. It’s important that we know the issues. Now the question for Georgia gardeners is how applicable is this resource for us. The book description indicates that it covers native plants of the Midwest, Northeast, and southern Canada. The table of contents includes a list of all the plants covered in each of the 3 chapters. With a quick scan of the list, I can recognize that most of the plants are applicable to the Southeastern U.S. or are close relatives of Southeastern plants. In the Prairie chapter, Liatris ligulistylis is described but Georgia has over a dozen native species of Liatris. The same is true for Coreopsis, Helianthus, Heuchera, Solidago and many others. In the Woodland Edge chapter, the plants listed are an even closer match. In the Wetland Edge chapter, many are similar and Georgia relatives can be found for many others (Hypericum, Lobelia, Pycnanthemum, Silphium, Symphyotrichum and Vernonia). One thing to consider when evaluating similar species: some of our species are not just wetland edge plants. As always, research your selections carefully as to site and plant needs. The book doesn’t stop there either. Almost 100 additional pages provide references, websites, drawings, charts, sample pollinator garden designs, beautiful insect pictures for identification, and of course a thorough index. This may be the most detailed book I have read in years. If you have the slightest interest in understanding insect/plant interactions and in supporting such a key part of your local ecosystem … you should get this book. It's on my list...great review and I especially appreciated the comparison to Georgia plants, so many of which are native to Tennessee. The problems for the Monarchs are not so much anything that is going on in Mexico - they have done much to protect the Winter homes for Monarchs. The multiple problems for Monarchs are here in the United States with our land use practices and our agricultural methods. We bear the responsibility. It is on US to address the problems. Great review! I live in Georgia and will be ordering this book! Reading now and will review as well on my blog in April. What a great resource for all gardeners and those who love and study pollinators. Ellen, thank you for a meticulous and informative review! After you mentioned this book at the GNP Symposium I looked it up on Amazon, but it lacked a "Look Inside" feature and, because of the geographical area covered I hesitated to cover it. Because of your extensive review I'll be making a purchase. BTW, you and the other organizers are to be thanked and congratulated for such a wonderful Symposium. I am so excited to read this book! Thanks for such a comprehensive review of the book. Great post, Ellen. It sounds like a great book! Thanks for aiding in the education. I agree that it is important to emphasize that it is not just bees but also butterflies, moths, wasps, flies and beetles...I'm happy to attract them all.